Set in the future, one male and one female from each of the twelve districts of the nation is forced to participate in the annual competition called The Hunger Games, which is broadcast live throughout the country for the entertainment of the Capitol's wealthy residents. Sixteen year old Katniss Everdeen (Jennifer Lawrence) volunteers in her younger sister's place to enter the games, and is forced to rely upon her sharp instincts as well as the mentorship of drunken former victor Haymitch Abernathy when she's pitted against highly-trained Tributes who have prepared for these Games their entire lives. SANTA MONICA, CA, May 23, 2012 -Lionsgate's The Hunger Games juggernaut will arrive on home entertainment at 12:01 A.M. on Saturday, August 18, as the first film in Lionsgate's (NYSE: LGF) The Hunger Games franchise, which has already grossed nearly $400 million at the North American box office and is approaching $650 million at the worldwide box office, debuts on 2-disc DVD (plus digital copy), 2-disc Blu-Ray (plus digital copy), VOD and digital download with three hours of previously unavailable bonus materials in the biggest home entertainment launch in Lionsgate's history, the Company announced today. 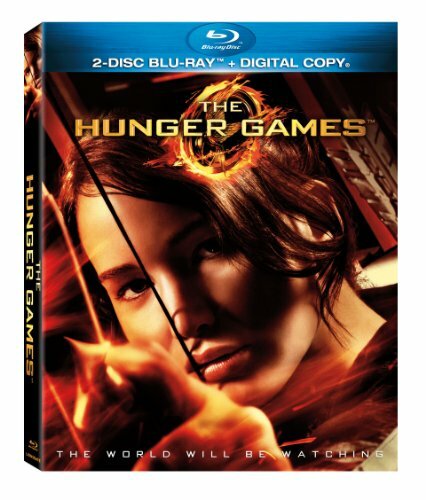 The 2-disc Blu-ray and 2-disc DVD arrive loaded with over three hours of extensive bonus materials including the comprehensive eight-part documentary, "The World Is Watching: Making Of The Hunger Games." Other special features include a sit-down conversation with director Gary Ross as well as numerous featurettes that examine the global success of the books, the creation of the control room in the film and the filmmakers' motivation behind creating new scenes that were not in the book plus much more. The Blu-ray Disc set contains an additional exclusive feature, "Preparing for the Games: A Director's Process," which looks at the progression of taking three key scenes from the book to the screen. The Hunger Games Blu-ray Disc and DVD is a must-have film that is hailed as "exciting and thought-provoking in a way few adventure dramas ever are" (New York Daily News). Fans will be able to pre-order the Blu-ray Disc and DVD, starting on Friday, May 25th, for $39.99 and $30.98, respectively. Directed by Academy Award(R) nominee Gary Ross (Seabiscuit), The Hunger Games, starring Academy Award(R) nominee Jennifer Lawrence (Winter's Bone), features an ensemble cast that includes Golden Globe(R) winner Donald Sutherland (Citizen X), Academy Award(R) nominee Stanley Tucci (The Lovely Bones), Academy Award(R) nominee Woody Harrelson (The People vs. Larry Flynt), Lenny Kravitz (Precious) and Emmy(R) nominee Elizabeth Banks (TV's "30 Rock"). The film also stars some of the industry's brightest up and coming actors such as Josh Hutcherson (The Kids Are All Right) and Liam Hemsworth (The Expendables 2). The Hunger Games is the first in a trilogy of books published by Scholastic that has already become a literary phenomenon with over 36.5 million copies in circulation. Set in the future, one male and one female from each of the twelve districts of the nation is forced to participate in the annual competition called The Hunger Games, which is broadcast live throughout the country for the entertainment of the Capitol's wealthy residents. Sixteen year old Katniss Everdeen (Lawrence) volunteers in her younger sister's place to enter the games, and is forced to rely upon her sharp instincts as well as the mentorship of drunken former victor Haymitch Abernathy when she's pitted against highly-trained Tributes who have prepared for these Games their entire lives. If she's ever to return home to District 12, Katniss must make impossible choices in the arena that weigh survival against humanity and life against love. Title Copyright: (c) 2012 Lionsgate Films Inc. All Rights Reserved. Its feature film business has been fueled by such recent successes as the blockbuster first installment of The Hunger Games franchise, which has already grossed nearly $650 million at the worldwide box office, "The Expendables," "The Lincoln Lawyer," "Cabin In The Woods," "Tyler Perry's Madea's Big Happy Family" and "Margin Call." With the January 2012 acquisition of Summit Entertainment, the Company now has the two leading young adult franchises - the blockbuster "Twilight Saga," which has grossed more than $2.5 billion at the worldwide box office, and "The Hunger Games." Recent Summit hits include "Red," "Letters to Juliet," "Knowing," the "Step Up" franchise and the Academy Award-winning Best Picture, "The Hurt Locker."